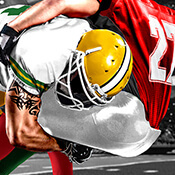 We’ve got our fingers on the pulse when it comes to NFL betting, with odds on every match and an acca insurance offer on all American sports of a free bet on five-folds and above if one of your bets loses. Our NFL writers will crunch the numbers and analyse the form to provide you with previews, tips, odds and video for the weekend action and the Monday night game. It's that time of the week again when Andrew 'Freddie' Flintoff steals himself to face off against the BetStars army of traders to see if he can beat them to that elusive acca victory. Will his gut instincts beat their stats and experience? There's only one way to find out!